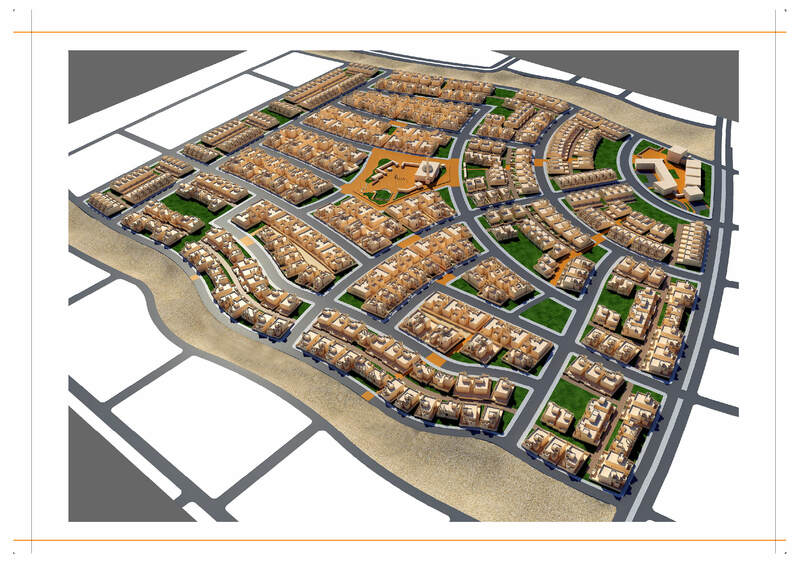 Our scope here was to revisit the planning of one neighborhood and to design the residential prototype villas and townhomes. 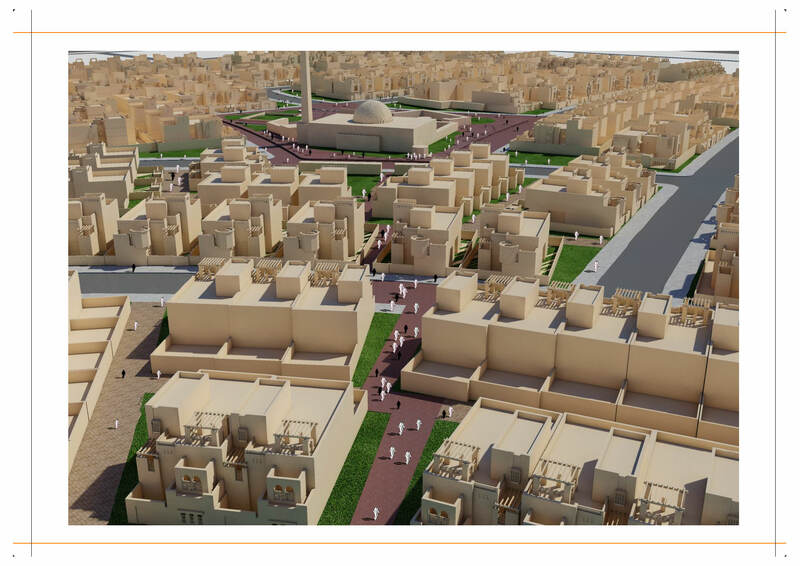 By slightly amending and reorganizing the sizes of the residential plots, we were able to gain extra areas which were designed as a network of pedestrian paths to be used by residents leading to the neighborhood center were public services are located. These pedestrian paths added to the quality and interest of the project as a whole and became a major feature in the masterplan. 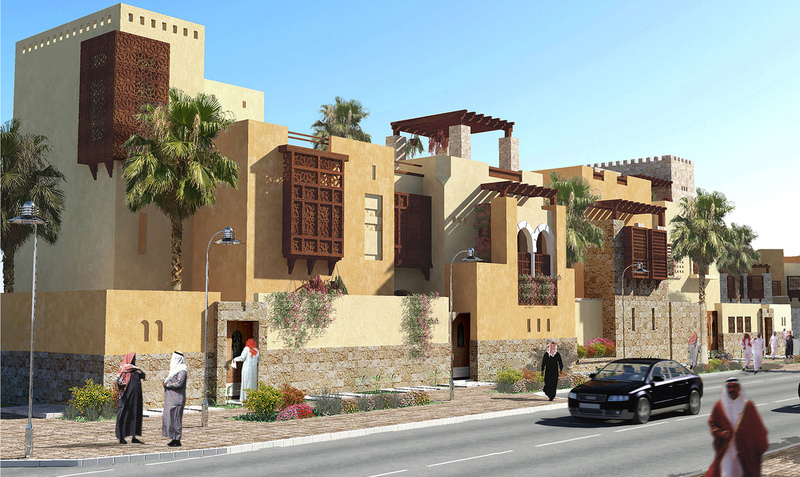 The Villa and townhome designs have a contemporary Arabic character. The linear continuity of the buildings integrated with the continuous boundary walls helped in establishing the aesthetics, meaning and sense of community that was almost lost in the fragmented planning of our modern cities. The Façade designs used a traditional inspired vocabulary that contribute also to the communal sense of belonging.